At the ongoing SXSW conference, Google gave a sneak peak at the revamped interface of its popular blogging platform Blogger. We cemented ourselves as one of the largest blogging platforms and the sixth largest website in the world, according to Alexa. Blogger users published more than half a billion blog posts, which were read by more than 400 million active readers across the globe. We introduced template designer, real-time stats, comment spam filtering, mobile templates, web fonts and more. And to top it all off, we were dubbed the most reliable blogging service around. As shown on the blog post, the new Blogger has two prominent updates: a new revamped dashboard and a new post editor. 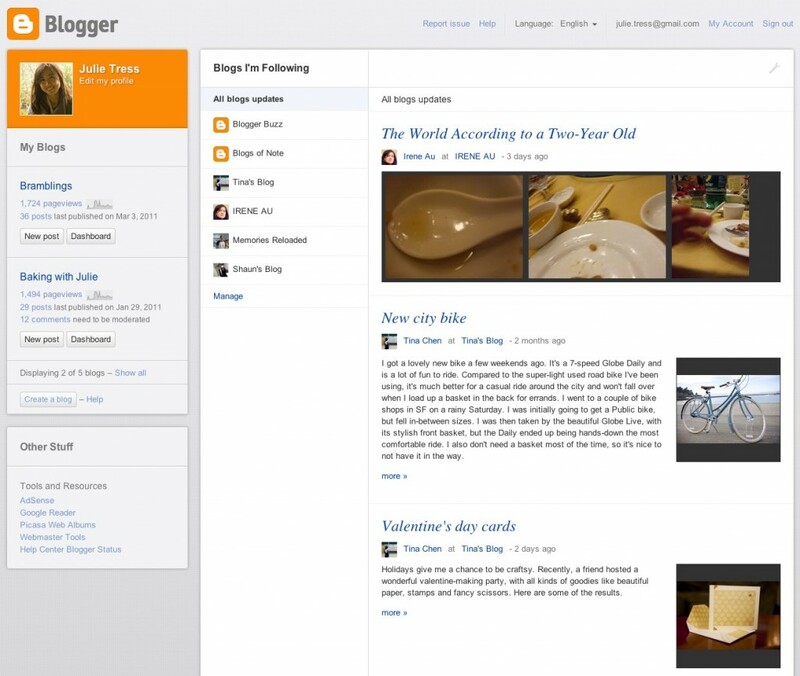 The new design of Blogger is based on the popular Google Web Toolkit. Advancing from the tabbed approach in the post editor, the UI will now be more streamlined. The toolbar is now much compact, less cluttered and includes location tagging. Blogger Dashboard has been provided with a complete new redesign. The new design now has more Tumblr like approach, with most of the space in Dashboard taken up by feeds of blogs you’re following on Blogger. The left sidebar gives you access to your Blogger profile and your Blogger blogs.